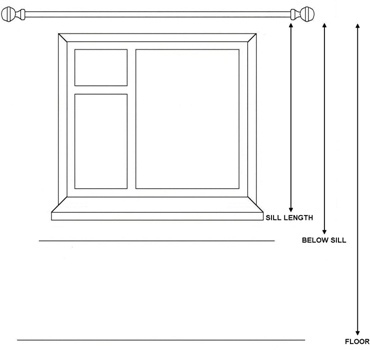 Sill length - The curtain should be approximately 1cm above the sill. Am I buying a curtain or a pair? All of our curtains come packed in pairs unless otherwise stated in the Description tab of the curtain. So when you have "Quantity: 1" in your shopping basket, this will purchase the pair.